Yesterday I got some new stuff too my Collection, I was really happy when I opened the mail and saw the new packages. 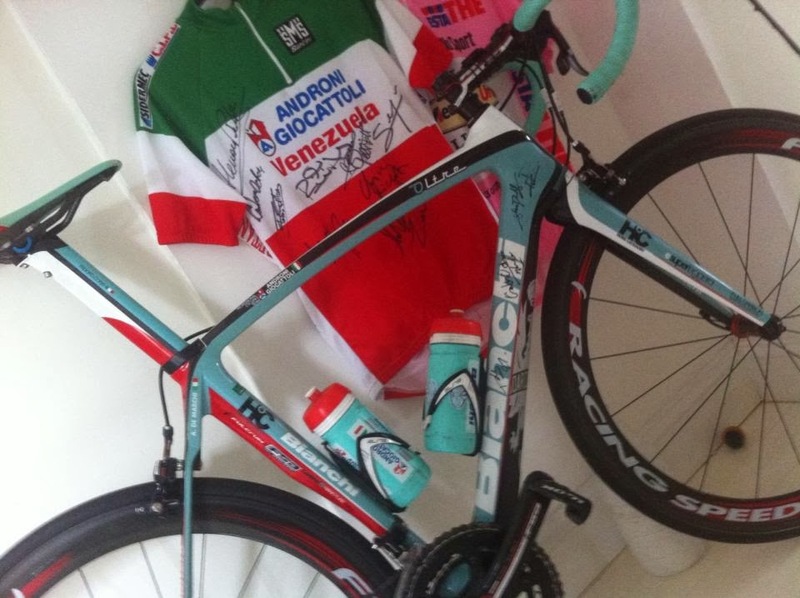 If you click on the image you see it bigger, what I got was gloves from Team Vacansoleil, not the ones we fans can buy, but real gloves from a pro. 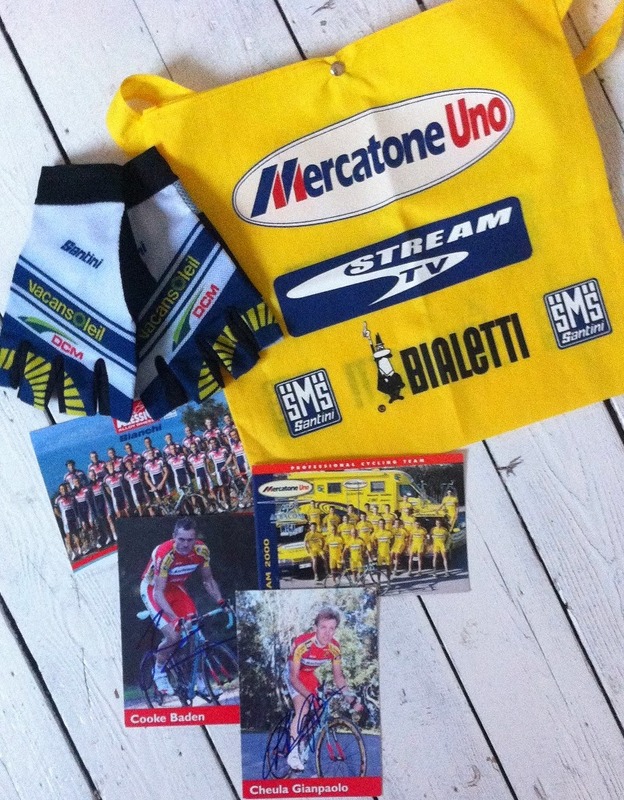 A foodbag (musette) from Mercatone Uno and postcards from Team Alessio Bianchi, Team Mercatone Uno and two signed cards from Team Barloworld - Baden Cooke and Gianpaolo Cheula. Real nice and fun to get it.